We'll double the gym time post-Ramadan. The holy month of Ramadan is here, and by now, you must have skimmed through at least 10 articles/per hour — all of them telling you to make the right choices, adopt healthy eating, drink water, avoid carbs...well, you get the idea. All these features (and people writing them) are 100% on-point. And we too, are on board (at least intentionally) with the idea of a healthier Ramadan BUT seriously, where in the world do we find the willpower to stop staring at these crispy, cheesy and utterly mouth-melting Iftar delicacies? If you too, share our pain, then here’s a little something to cheer you up. 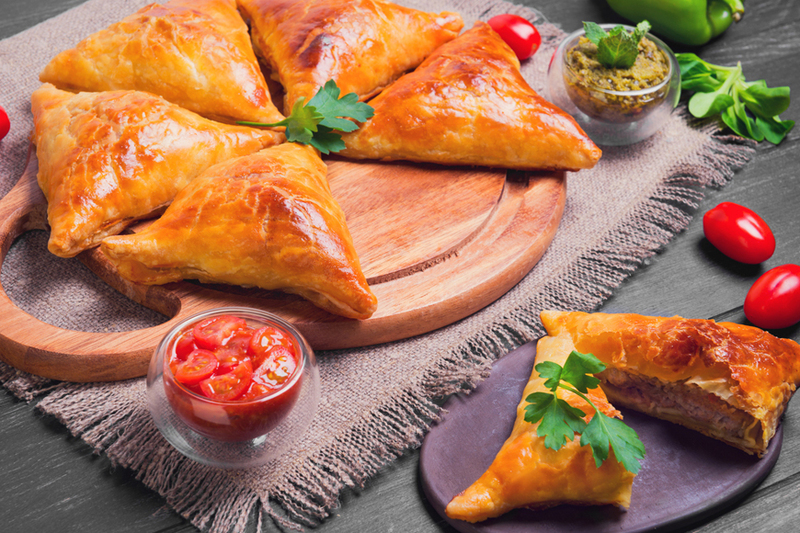 Scroll down to see some delish Iftar snack ideas that are totally worth a few extra pounds. It's happiness on a stick. Would you say NO to this ball of cheesy deliciousness? There's spinach — that's healthy. Crunchy on the outside and savoury aromatic meat filling on the inside. This Middle Eastern delicacy is bursting with flavours. Cheese + Chicken = Food coma alert! Pair them with a green chutney dip and you're golden. Look at that golden glow — better than any highlighter.